So, if I were to create a bucket list just for my photography, this would have been on it. 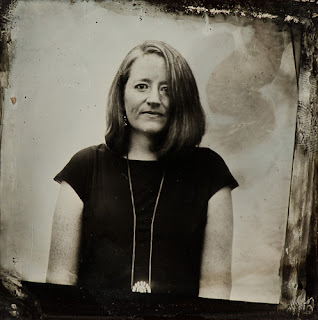 Learn how to make a Tintype and do it. Throughout my photographic career I have gotten really good at theory and less good at practice. Yes, that is how I scratched a name for myself - the theory of photographic practices as written in articles and books - and I do actually love the theory, but I love the creation of photography even more. That is something I have sort of forgotten recently. Once you start teaching and keeping active with writing and raising kids, short cuts start sounding really good. So, I have been playing around in my digital photographic world, seeing if my Silver Efex Pro can actually make an image reminiscent of my favorite Tri-X film, or trying to fake those exposed negative edges as an image frame. But a couple of important things happened to me in the last year that have brought me back to the thing I love most about photography, and that is the artifact. I LOVE the artifact. I am a woman who still owns too many mismatched bookshelves full of photography tomes, and thanks to my gig working as the book reviewer for Photographer's Forum, I have a LOT of those books. From Steiglitz to Seligar and everything in between. My favorite amongst them all is an early edition Jacques Henri Lartigue where the images are actually held in with photo corners. LOVE! But I digress. I love the artifact because I have photographs from my ancestors. I have actual relics with handwritten notes about people and places. The digital realm, while tons of fun (don't get me wrong) doesn't produce those artifacts. Most live in the ether. Instagram (to which I am a new inductee) and Flickr and my digital archive have excellent information and no tangible incarnation. So I have been working with the tangible. 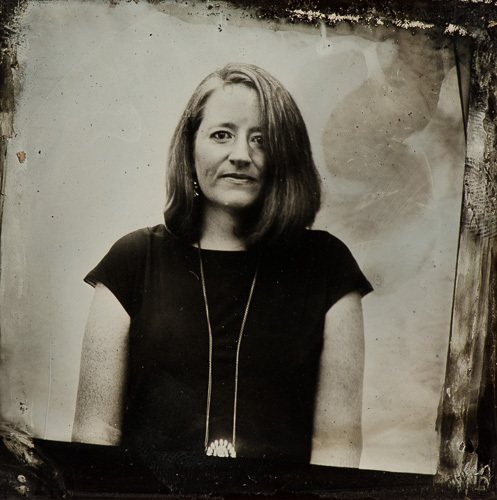 I have started a new 4x5 film project called "The Impermanence Project." I have pulled out old 35mm rolls from my fridge and started shooting and developing them. I have created artifacts. So when I was given the opportunity to create something new, something from my bucket list, I couldn't say no. Yes, it isn't coated perfectly, but that's because it wasn't coated perfectly! Not because I faked in in Photoshop. 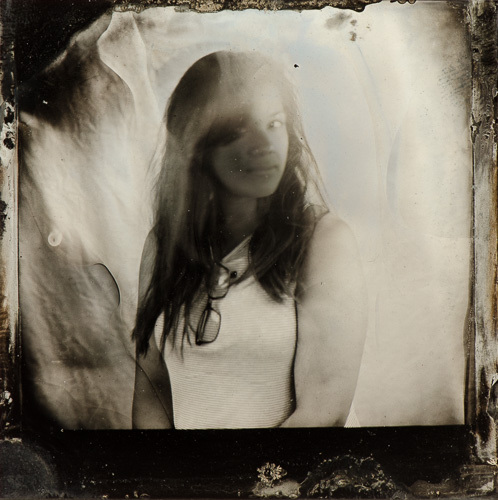 Not because I found an old tintype at a flea market and stole the edges to make an image of Marianne. Nope. This is flawed, uneven, poorly focused, and has a whopping fingerprint on it because all of those things happened. This is history. And I'm hoping it is just the beginning.